Large-Amplitude Spin Dynamics Driven by a THz Pulse in Resonance with an Electromagnon. Data on a hard drive is stored by flipping small magnetic domains. Researchers from the Paul Scherrer Institute PSI and ETH Zurich, including MUST PIs Paul Beaud, Steve Johnson, Christoph Hauri and Urs Staub have now changed the magnetic arrangement in a material much faster than is possible with today’s hard drives. The researchers used a new technique where an electric field triggers these changes, in contrast to the magnetic fields commonly used in consumer devices. 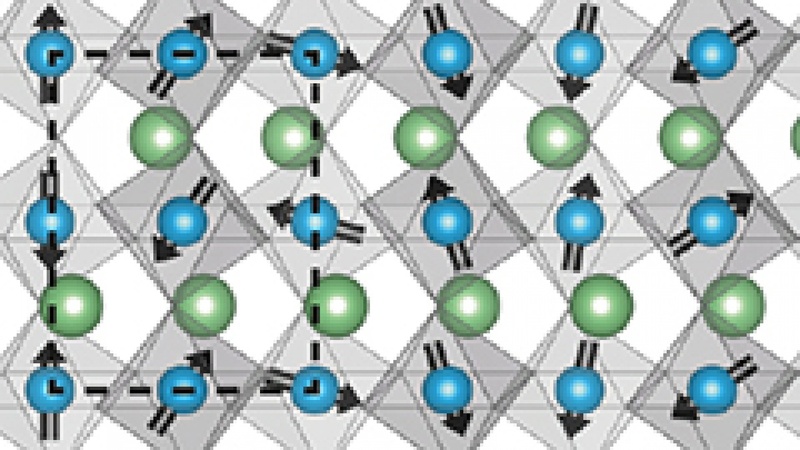 This method uses a new kind of material where the magnetic and electric properties are coupled. Applied in future devices, this kind of strong interaction between magnetic and electric properties can have numerous advantages. For instance, an electrical field can be generated more easily in a device than a magnetic one. In the experiment, the changes in magnetic arrangement took place within a picosecond (a trillionth of a second) and could be observed with x-ray flashes at the American x-ray laser LCLS. The flashes are so short that you can virtually see how the magnetisation changes from one image to the next – similar to how we are able to capture the movement of an athlete with a normal camera in a series of images with a short exposure time. In future, such experiments should also be possible at PSI’s new research facility, the x-ray laser SwissFEL. The results will be published in the journal Science. They appear online in advance of print in Science Express on 6 March. Kubacka, T., Johnson, J.A., Hoffmann, M.C., Vicario, C., de Jong, S., Beaud, P., Grübel, S., Huang, S.W., Huber, L., Patthey, L., Chuang, Y.D., Turner, J.J., Dakovski, G.L., Lee, W.S., Minitti, M.P., Schlotter, W., Moore, R.G., Hauri, C.P., Koohpayeh, S.M., Scagnoli, V., Ingold, G., Johnson, S.L., and Staub, U. (2014) Large-Amplitude Spin Dynamics Driven by a THz Pulse in Resonance with an Electromagnon. Science, Science 343, 1333-1336 (10.1126/science.1242862) Kubacka-2014 (840 KB).